Xiaomi has finally launched its latest flagship smartphone the Mi 8 in China. 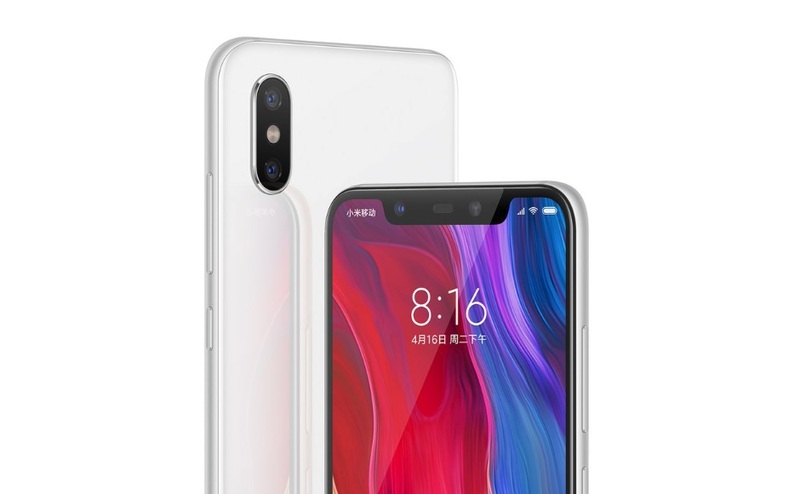 Being company’s premium device the Mi 8 packs all the latest hardware and software including the Qualcomm Snapdragon 845 SoC, a dual rear 12-megapixel camera setup, infrared face unlock, and a 20-megapixel selfie camera. Pre-order for the Mi 8 has already live. The smartphone will be available in White, Gold, Light Blue, and Black color options. The Mi 8 price has been set at CNY 2,699 (roughly Rs. 28,600) for the 6GB RAM/ 64GB inbuilt storage variant, CNY 2,999 (about Rs. 31,600) for the 6GB RAM/ 128GB storage variant, and CNY 3,299 (roughly Rs. 34,800) for the 6GB RAM/ 256GB inbuilt storage model. Along with the Mi 8, Xiaomi also launched A Mi 8 Explorer Edition has also been launched and comes with exclusive features like 3D face recognition, an in-display fingerprint sensor, and a transparent back. The Mi 8 Explorer Edition comes with 8GB of RAM and 128GB inbuilt storage and bears a price tag of CNY 3,699 (roughly Rs. 39,000). The Explorer Edition’s availability details haven’t been announced yet. Xiaomi Mi 8 runs MIUI 10 and it sports a 6.21-inch full-HD+ (1080×2248 pixels) Samsung AMOLED display with an 18.7:9 aspect ratio, 88.5 percent screen-to-body ratio, and support for Always On display. It is powered by a Qualcomm Snapdragon 845 SoC coupled with 6GB/ 8GB of LPDDR4X RAM, with 8GB RAM exclusive to the Explorer Edition. On the camera front the Mi 8 sports 12-megapixel dual rear camera setup with 1.4-micron pixels, 4-axis OIS, dual pidual-pixelcus, AI portraits, AI scene detection, and video detection. Xiaomi claims a DxOMark photo score of 105. One the front it sports a 20-megapixel selfie camera with f/2.0 aperture, 1.8-micron pixels, AI portrait selfies, and beautify. As for storage, the phone gets 64GB/ 128GB/ 256GB of inbuilt storage. Thre Mi 8 comes with 3400mAh battery under the hood. On the other hand, the Mi 8 Explorer Edition a smaller 3000mAh battery.